200mph Jaguar XE Project 8: the fastest taxi in the world? What’s the maddest Jaguar ever made? The XJ220 supercar of the 90s? The F-Type SVR? 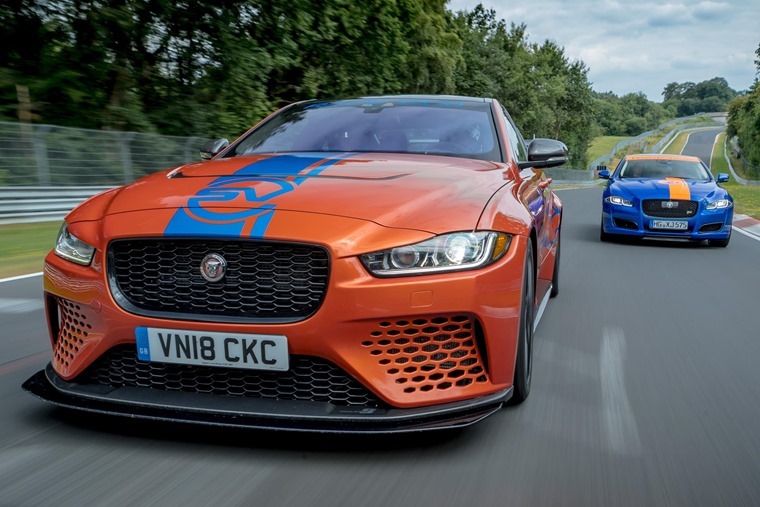 Well we’d argue it’s actually the relatively humble XE saloon, which for some unfathomable reason Jag has decided to grace with its 598bhp V8 unit. 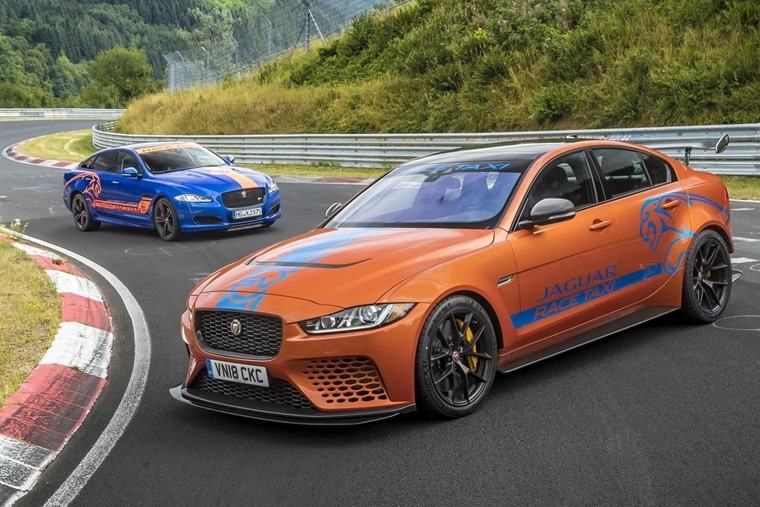 After smashing the lap record for a four-door car at the Nurburgring Nordschleife last year, Jaguar is now offering rides to members of the public in the form of a ‘Ring taxi’. 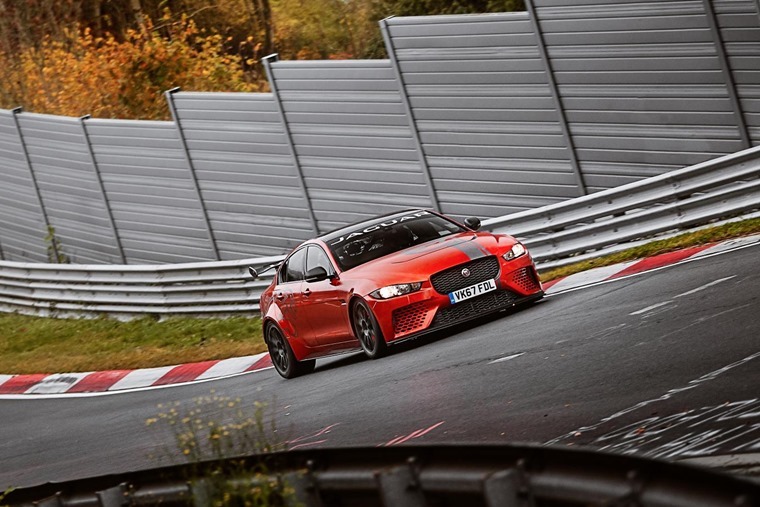 Putting in a lap time of just 7min 21.2 secs, the Project 8 is around 11 seconds quicker than Alfa Romeo’s Giulia Quadrifloglio around the famed circuit. You can watch the official timed lap below. Fancy a fast lap in the passenger seat? Costing €199 (around £175) it’s certainly an expensive taxi ride, but if it sounds like your sort of fun, you can book laps here. It uses the same 5.0-litre V8 you’ll find under the bonnet of the F-Type SVR, but the engineers (presumably after a few too many) saw fit to squeeze even more power out of it, making it the fastest road-going Jaguar ever made. 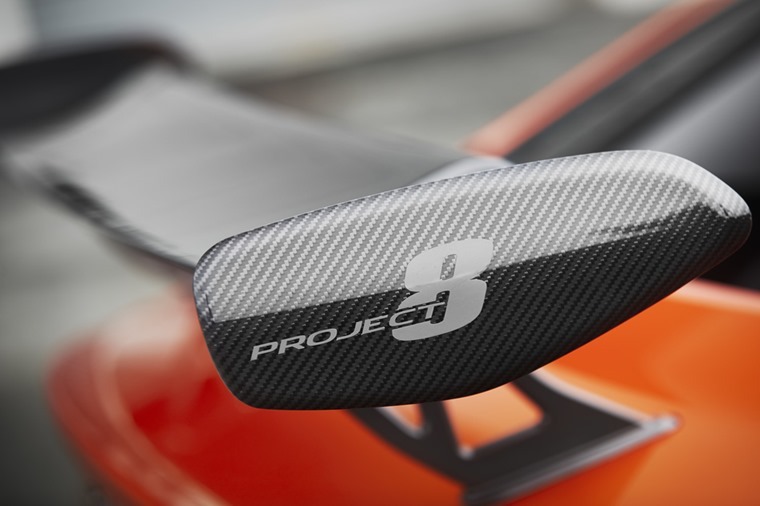 Other than the obvious power increase, the Project 8 is marked out by a huge rear spoiler and diffuser, with the rest of the bespoke bodykit made out of the same carbon fibre. If this wasn’t enough to mark it out, a quick look through the honeycomb lower grilles reveal huge intercoolers, giving away the fact this is an XE with something more than a 2.0-litre diesel under the bonnet. It’s not just raw power that impresses however, with the Project 8 making use of Jaguar’s new Carbon Ceramic Braking system, while that carbon fibre makes it lighter than more standard versions. Ride height is also manually adjustable, while its aerodynamics and Driveline system have been set up for circuit use in mind. An option two-seat Track Pack version reduces weight by a further 12.2kg, too. It’ll get to 60mph from rest in just 3.3 seconds, and we know that it’ll happily exceed the 200mph barrier. These kinds of stats suddenly make the BMW M4 and even the fiery Ferrari-powered Giulia QV rather redundant. Whether or not it’ll be as enjoyable to drive remains to be seen, but for those after a preview of the super saloon should head to the Goodwood Festival of Speed this weekend where it’ll be making its way up the famed hillclimb. 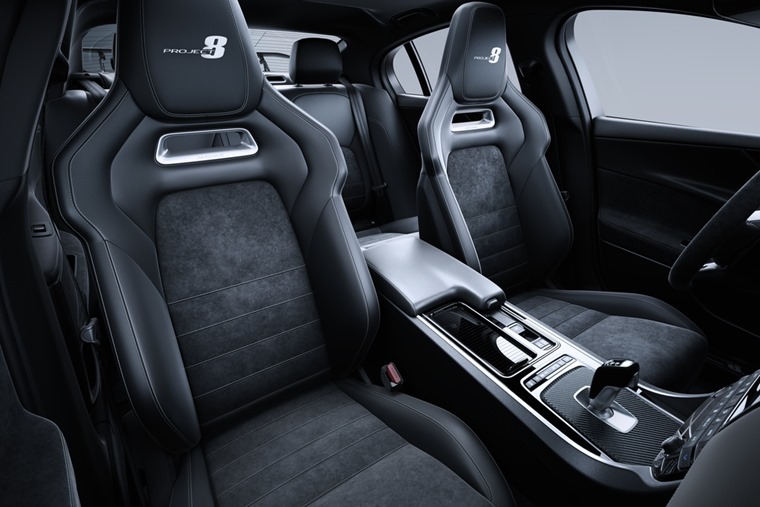 For those looking to lease one however, you might be in for a disappointment because only 300 XE Project 8s are to be made and all will no doubt be snapped up quickly, if they haven’t already been allocated owners who have £150,000 to spare.